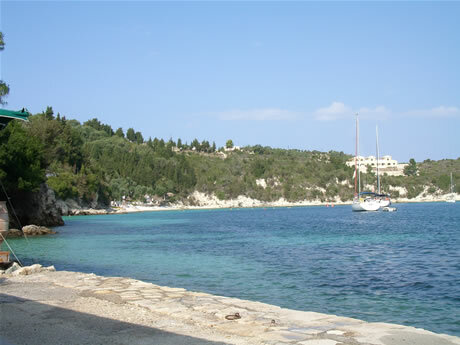 Paxos Photos. 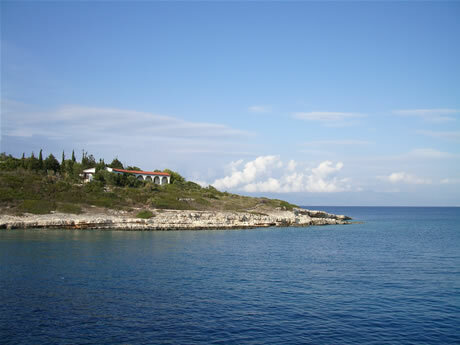 Photographs of Paxos, Gaios, Lakka, Loggos, Anti-Paxos, Paxos coast and beaches. 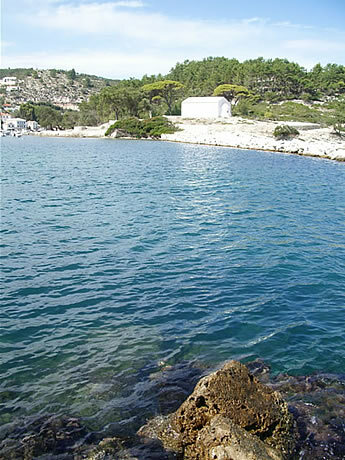 Follow the rocky coastline from Gaios harbour to discover secluded beaches and coves. 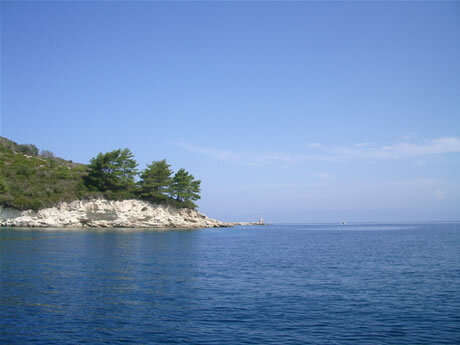 A picturesque entrance to the harbour at Gaios. 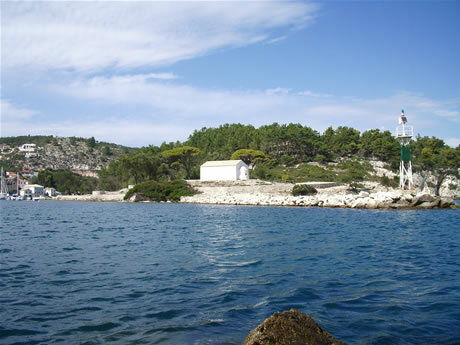 The island in Gaios harbour has a quaint monastery. 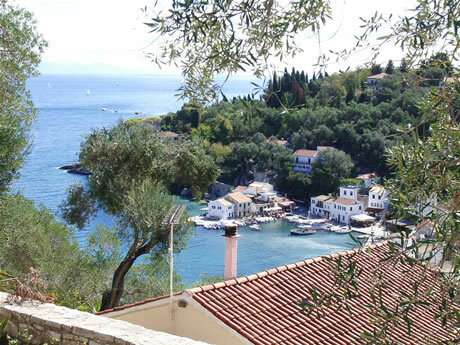 The monastery on the island in Gaios harbour welcomes boats and yachts to Paxos. 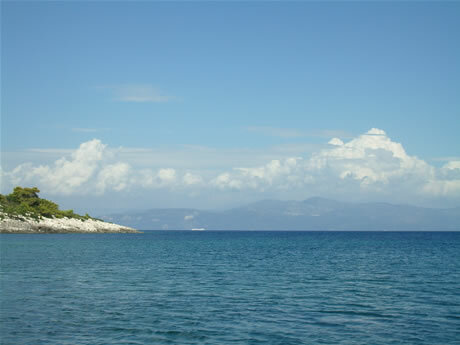 Looking out to sea from the mouth of Gaios harbour, you can see the Greek mainland. 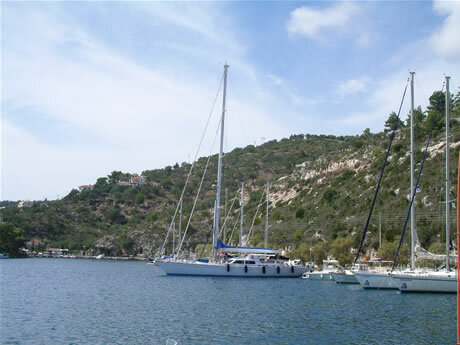 Impressive yachts, such as this one, can be seen moored at Gaios harbour. 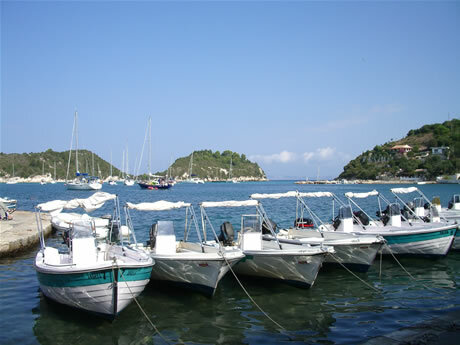 Gaios harbour plays home to yachts and boats of all sizes. 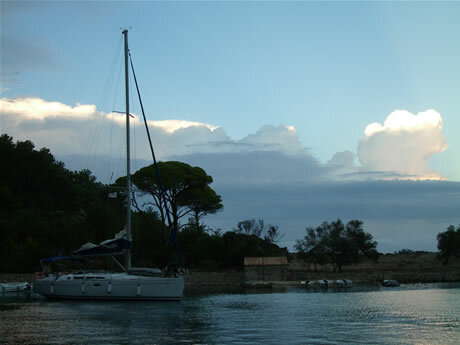 Twilight at Gaios harbour. Many yachts moor at Gaios harbour overnight. 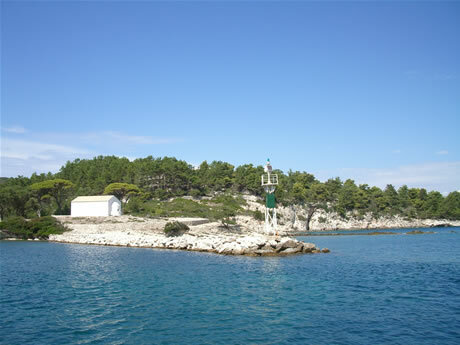 Hire a boat from the harbour at Lakka and explore the Paxos coastline. 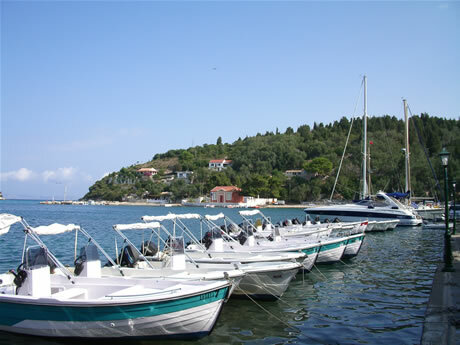 You can hire a boat like one of these from the harbour at Lakka. 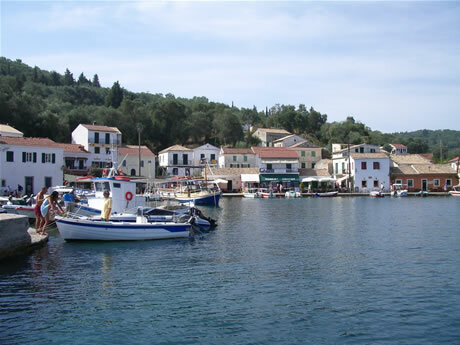 As in Loggos and Gaios, Lakka has many tavernas and restaurants at the harbour-side. 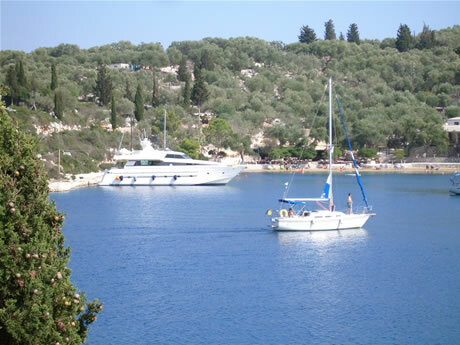 Enjoy the view from the water-side tavernas in Lakka harbour. 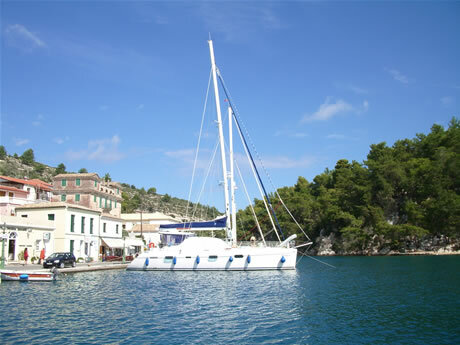 Renting a small boat like one of these in Loggos harbour is a great way to explore the Paxos coastline. The old soap factory can be seen in the top right of the picture. 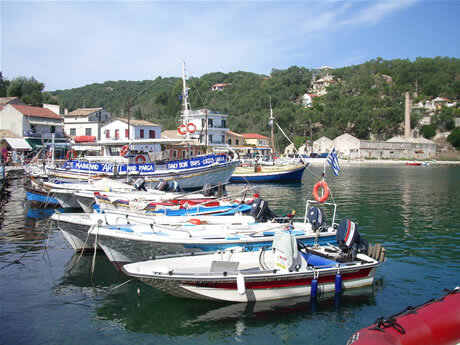 Many small boats moor at the harbour in Loggos. 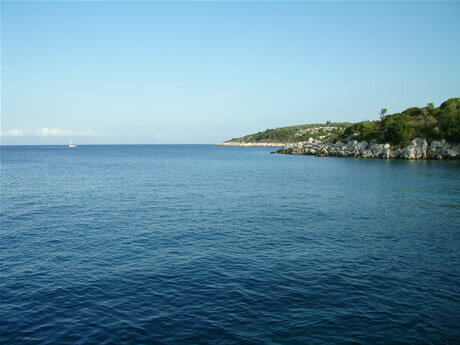 Looking out to sea from the harbour at Loggos. 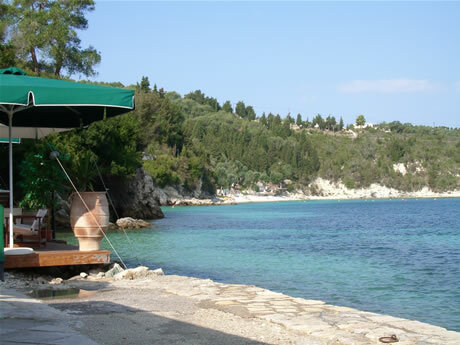 One of the many water-side villas on Paxos. Many of the villas have private swimming pools and are available to rent. 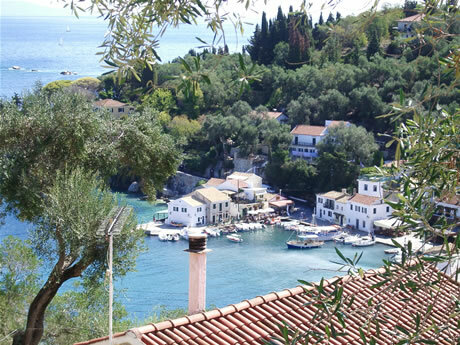 A birds' eye view of the harbour at Loggos. 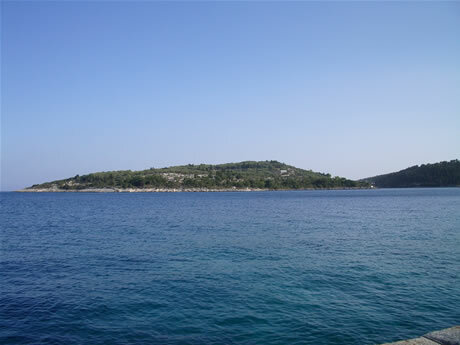 A view of the harbour at Loggos, taken from one of the many pathways that crisscross the island. 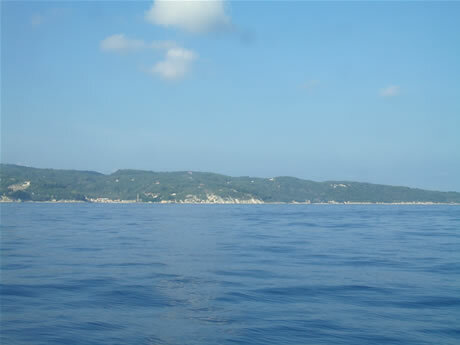 This photo of the coastline near Loggos was taken on board "Santa II", the hydrofoil ferry that operates between Paxos and Corfu. 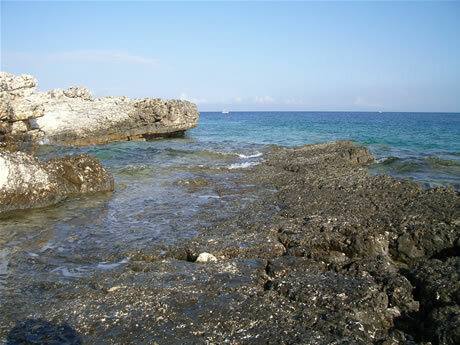 Mongonisi, at the south end of the island, has a sandy beach. Many luxurious yachts moor in the cove. 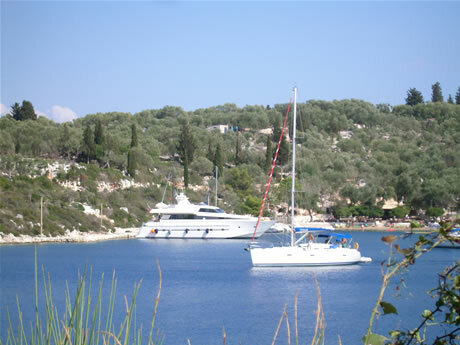 Luxurious yachts and motor boats explore the cove at Mongonisi, Paxos. 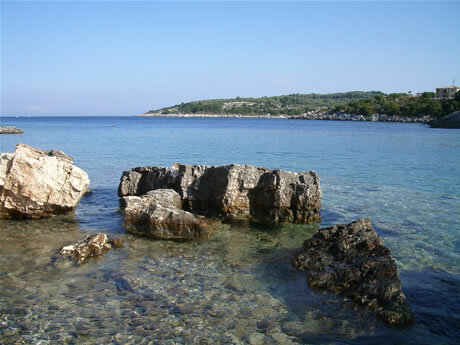 Clear blue water laps against the rocky Paxos coastline. 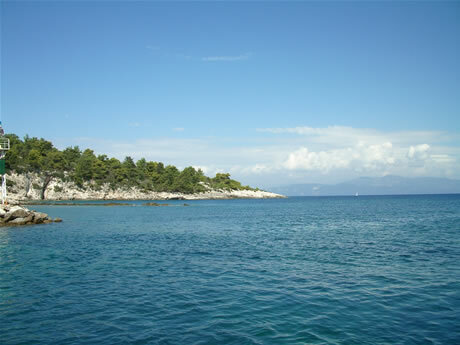 The calm seas around the Paxos coastline are ideal for swimming. 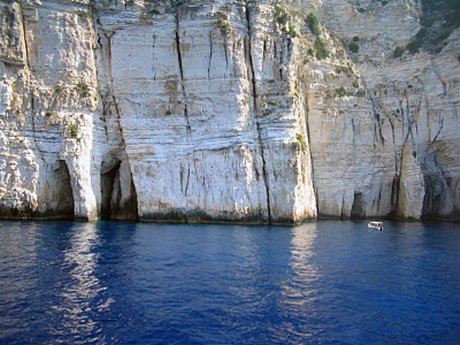 The Blue Caves on the west coast of Paxos can be explored by boat. 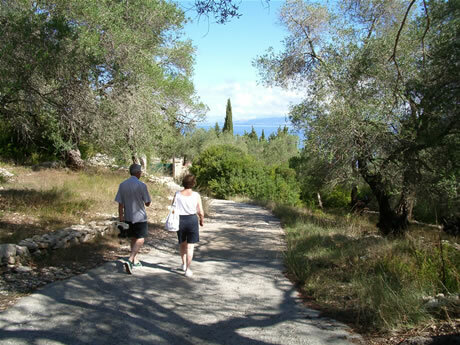 Take a stroll along the many pathways on Paxos. 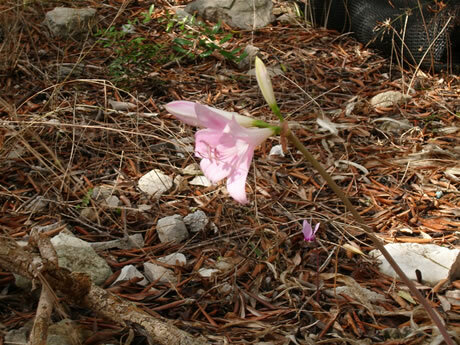 Discover wild flowers like this wild orchid when walking along the many Paxos pathways. 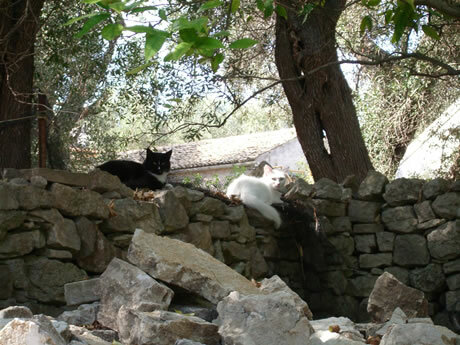 Cats lazing in the shade of some of the many olive trees that grow on Paxos. 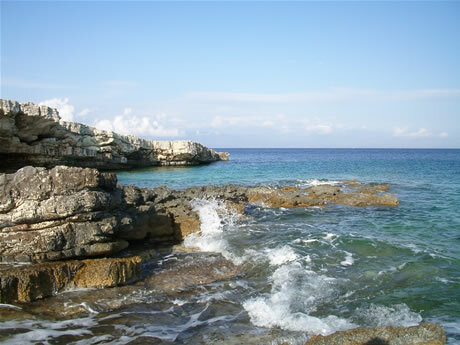 Copyright © 2006 www.visit-paxos.co.uk. All rights reserved. Website by Webtree Limited. 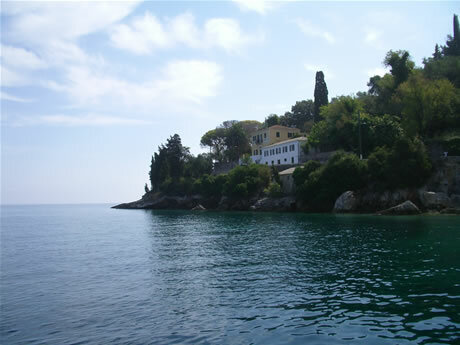 Sister sites: Kefalonia Greece | Skopelos Greece | Skiathos Greece | Corfu Greece | Villa in Calabria, Italy.